100mM borate buffered saline, pH 8.0. Our Abpromise guarantee covers the use of ab24973 in the following tested applications. Cellular activation: Use at an assay dependent dilution. Flow Cyt: Use 1µg for 106 cells. Ly6C is a monocyte/macrophage and endothelial cell differentiation antigen regulated by interferon gamma, and may play a role in the development and maturation of lymphocytes. It is a member of the Ly6 multigene family of type V glycophosphatidylinositol anchored cell surface proteins. It is expressed on bone marrow cells, monocytes/macrophages, neutrophils, endothelial cells, and T cell subsets. Mice with the Ly6.2 allotype (e.g., AKR, C57BL, C57BR, C57L, DBA/2, PL, SJL, SWR, 129) have subsets of CD4+Ly6C+ and CD8+Ly6C+ cells, while Ly6.1 strains (e.g., A, BALB/c, CBA, C3H/He, DBA/1, NZB) have only CD8+Ly6C+ lymphocytes. 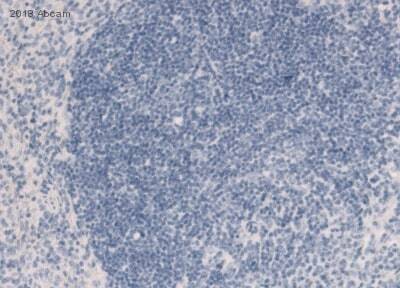 Bone marrow cells from C57BL/6 mice were labeled with ab24973 and then stained with goat anti-rat IgG-FITC. Large cells were gated and analyzed by flow cytometry. Publishing research using ab24973? Please let us know so that we can cite the reference in this datasheet.